While Privateer Press might be most well known for their Warmachine and Hordes minis games, it looks like they have something for everyone. They have just released three new games that will be of interest to those who don’t want to micromanage battles. Three of Privateer Press’ most eagerly awaited products of 2014—Iron Kingdoms Full Metal Fantasy: Monsternomicon, LEVEL 7 [INVASION], and WARMACHINE High Command: Faith & Fortune—all release today and are available at hobby game retailers. Iron Kingdoms Full Metal Fantasy: Monsternomicon is a monster supplement based on the original, multiple-award-winning d20 Monsternomicon books. This new supplement is compatible with the ENnie Award–winning Iron Kingdoms Full Metal Fantasy Roleplaying Game as well as the upcoming 2015 release Iron Kingdoms Unleashed Roleplaying Game. The Monsternomicon includes 40 monster entries and 37 creature templates that allow for the creation of thousands of different monster permutations. 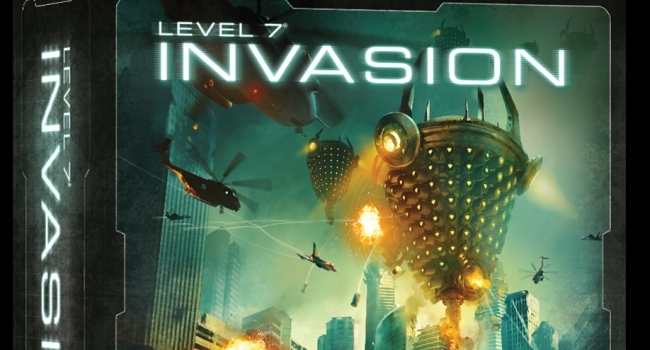 LEVEL 7 [INVASION] is a semi-cooperative board game of strategic global defense for 3–5 players. It is the third stand-alone board game in the LEVEL 7 sci-fi/horror universe and advances the saga beyond the critically acclaimed LEVEL 7 [OMEGA PROTOCOL]. In LEVEL 7 [INVASION], players command multinational coalitions in a concerted effort to survive and outlast an apocalyptic alien invasion. WARMACHINE High Command: Faith & Fortune is a new core set in the customizable deck-building series High Command. The box includes four new factions: Convergence of Cyriss, Retribution of Scyrah, Four Star Syndicate, and Highborn Covenant. Also included are new Location and Winds of War cards that are compatible with any WARMACHINE High Command and HORDES High Command releases, offering new customization options for all players. The 2–4 player release includes 386 cards in all. For more information about Iron Kingdoms Full Metal Fantasy: Monsternomicon, visit http://privateerpress.com/iron-kingdoms/books/iron-kingdoms-full-metal-fantasy-monsternomicon. For more information about LEVEL 7 [INVASION], visit http://privateerpress.com/level-7/level-7-invasion. For more information about WARMACHINE High Command: Faith & Fortune, visit http://privateerpress.com/high-command/products/warmachine-high-command-faith-fortune-core-set. So here you have an RPG, board game, and a deck-building game. Quite a nice spread if you ask me.